Binoculars vs. Spotting Scopes: Which is Right for You? Hunters are often torn about whether they should pack binoculars or a spotting scope. Both have their uses, depending on your needs. But one is often better-suited for certain uses than the other. Here, we’ll walk you through the difference between spotting scopes and binoculars. Binoculars are excellent for those that want a wide field of view. If you are in open areas, they allow you to scan widely and take in the whole landscape. Depending on the type you choose, binoculars are an easy to transport optic that can be packed in a small bag. Some binoculars may even fit in your pocket. Because they are so compact, binoculars are a versatile optic that can be used for a wide range of purposes in just about any environment. Spotting scopes are great for those that need a high level of magnification to sight objects that are far away. Like a telescope, you’ll only use one eye when looking through a spotting scope. Spotting scopes are compact enough that they are easy to take out into the field. However, you probably won’t be slipping a spotting scope into your pocket. Here, we’ll compare binoculars and spotting scopes. They are optics designed for different purposes, so you’ll have to choose the one that’s right for your needs. Compare them to find which optic you need for your specific purposes. Spotting scopes are designed to offer a high level of magnification, allowing you to see a target from far away. Binoculars, by contrast, usually offer less magnification power. If you need to spot a specific target from far away, you are better off with a spotting scope. 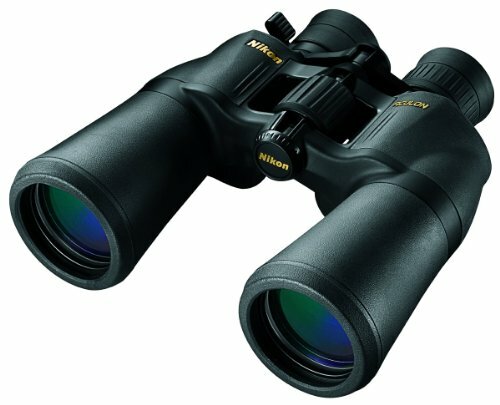 Binoculars will give you a wide field of view, allowing you to easily survey a whole area. Spotting scopes are meant to focus on a single target. Spotting scopes are usually mounted on a tripod, so they won’t move around as you focus an image. Binoculars are handheld, so they tend to shake and blur more as you increase the magnification. Binoculars are often much lighter than spotting scopes, and their shape makes them easier to transport. Although both have specific strengths, they can be used in a wide range of terrain and shooting conditions, making them excellent optics to have for just about any hunt. 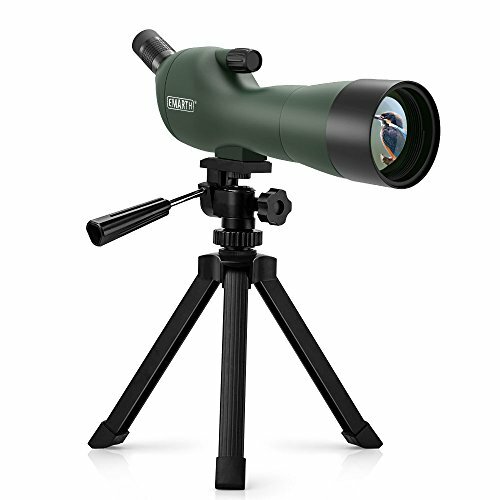 The right spotting scope or pair of binoculars will have excellent optics and give you a clear, bright image. Both feature models with excellent lenses and clear, bright images. You have a lot of options when you’re looking for a pair of binoculars. Here, we’ve selected a few of the best pairs out there. Compare them to find the pair that is perfect for you. Nikon is famous for their camera lenses. With the ACULON A211, they use that same optical expertise to craft an excellent pair of binoculars. They feature multi-coated lenses that give you sharp and bright images. And with a max magnification of 22x, they give you plenty of performance at longer distances. The central focus knob is easy to operate and moves smoothly. It’s easy to quickly get a clear image. And the body is durable, with a rubber-armored coating that holds up against repeated use in rough terrain. The eye relief can be customized with sliding eyecups. 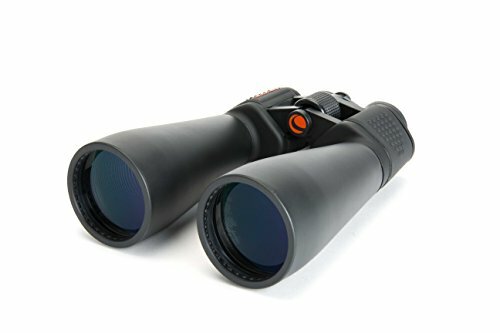 This makes them a great option for those that want more customizable binoculars and ensures that you always have a comfortable fit. 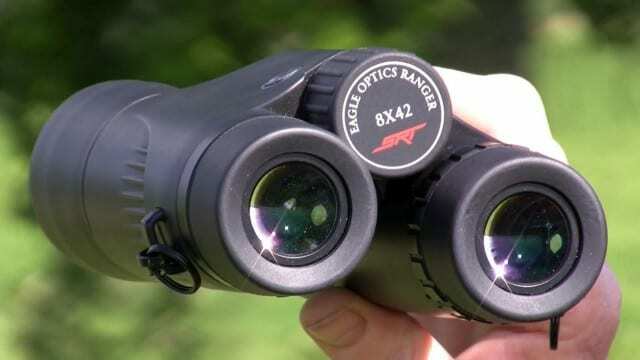 With a durable, light build, clear optics with great magnification, and an affordable price, the ACULON A211 are the best all-around binoculars you can find. Sometimes you need high-level performance without draining your bank account. And that’s exactly what you’ll get with this pair of binoculars. The large aperture gives them good performance in a wide variety of lighting conditions. You won’t have night vision, but they will allow you to see well on cloudy days. The lens is big, measuring at 70mm. This will give With 15x magnification, you’ll be able to see a target from far away. Although a great pair of binoculars, they do have their downsides. The image tends to blur as you reach the highest magnification level and the images tend to be soft at the outer edge of your field of view. Additionally, the focus can be slow and the dial stiff. However, for the money, you won’t find a better pair of binoculars. 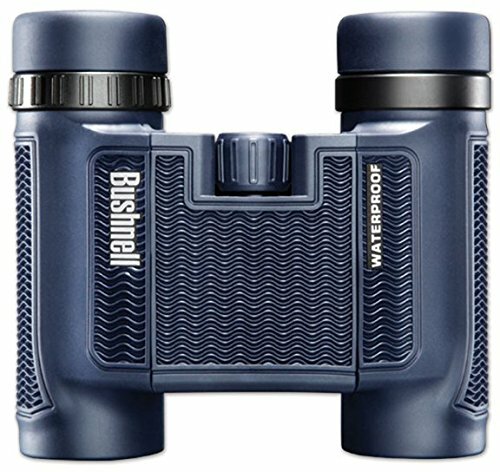 If you want a pair binoculars that offers high-level performance in a compact package, you should go for the Bushnell H20. They have excellent magnification and bright and clear images, all in a build that fits in your hand. The first thing you’ll notice is their small size. This pair is truly portable and is easy to throw in a bag or hold in your hand. They weigh less than a pound, so you won’t get fatigued as you hold them up for extended viewing. For their size, they have an impressive light transmission. They perform well in a variety of lighting conditions, giving you a crisp, clear image. They are also fully waterproof, making them a great choice if you are heading out into wet conditions and they have a textured exterior that makes it easy to keep a firm grip. They are a great pair, but not the best choice for those that need to see targets at long-range. And some users say that the focusing isn’t always smooth and that images will blur at higher magnification levels. With so many different spotting scopes, it can be hard to make the right choice. We’ve done some of the work for you, selecting a few of the best options out there. This is a scope that is built for some serious performance. With a wide field of view, magnification up to 36x, and a durable, waterproof build, it’s the best all-around spotting scope. The scope comes with a 50mm lens that does a great job of gathering light. This will give you a clear and bright image even in low light conditions. The images have excellent contrast, making it easy to discern different objects. The magnification on the scope is excellent, giving you a maximum power of 36x. This will be enough to spot targets from far away and the image quality holds up well as you increase the magnification. However, some users do say that the image blurs as you reach maximum magnification. It has all of this in a compact design, making it easy to transport. It also features a limited lifetime warranty. You simply won’t find a better all-around spotting scope than the Trophy Extreme, making it a great option for just about anyone. This is one of the best scopes for those that are looking for high-level performance in an affordable package. 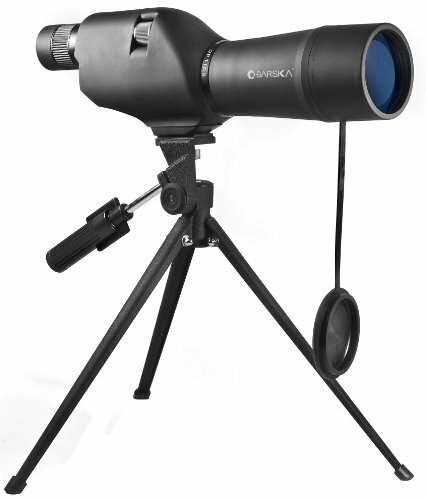 Barska offers great optics and sturdy construction with some of the best long-range performance of any spotting scope. The magnification is excellent, giving you clear images at up to 60x. Although the images are crisp, focusing can take time once you reach the highest magnification levels. The body is durable and features full fog and waterproofing, and absorbs bumps and falls well. What’s the downside of this scope? The tripod feels cheap and often breaks quickly. This is a bit of a disappointment for a scope that otherwise features a solid, durable build. Also, the style of the scope is a bit underwhelming. These, however, are minor complaints. 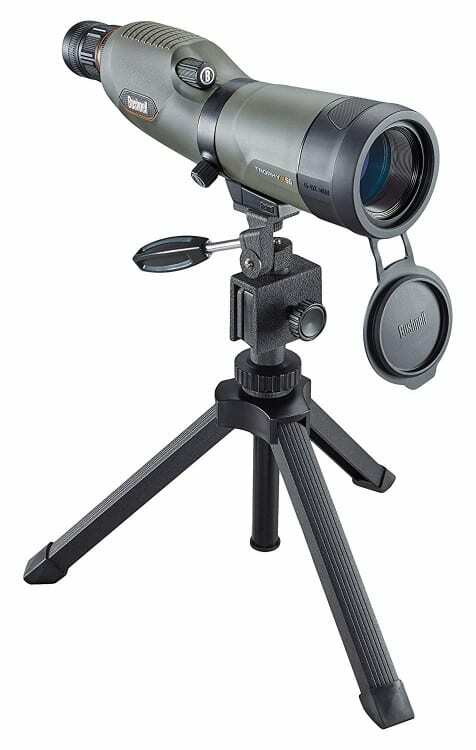 The scope offers mind-blowing magnification for the price, all in a durable and affordable package, making it the best spotting scope you can get for the money. If you need a spotting scope with some of the best performance for target shooting, this is the best choice. This scope stands out for its excellent magnification. You’ll get images that are magnified up to 60x, with little drop off in image quality. This makes it perfect for those that need to focus in on tiny details over a thousand yards away. The lens has advanced multi-coating that gives it top of the line light transmission, so you’ll get great performance in just about any lighting conditions. The tripod is sturdy and connects easily, giving you a stable base as you focus on the target. However, the tripod isn’t quite as well build as the rest of the scope. The build is durable as well, with rubber construction that provides excellent grip. And the scope has excellent fog and waterproofing. However, some users complain about the eye relief and say that it can be uncomfortable. All of this performance comes in a moderately-priced package, making it an affordable option for those that need a spotting scope for target shooting. Binoculars and spotting scopes are both important optics for any shooter.However, they aren’t the same and should be used to their strengths. With our guide and reviews, you’ll be able to find the right optics for you, and make the most of them once you do.